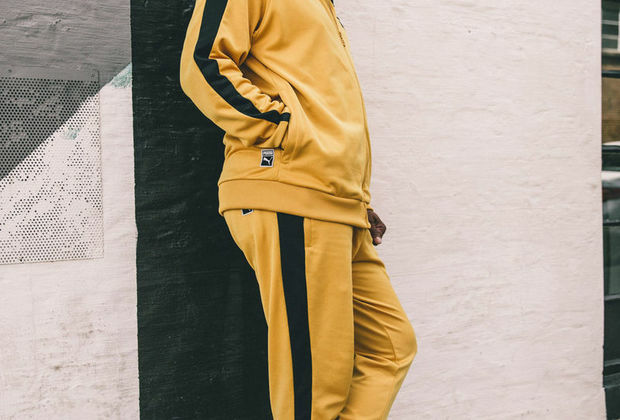 Wearing classic PUMA Suedes and T7 Vintage Track Suit in striking yellow and black, the former Kaizer Chiefs and Bafana Bafana midfielder shares his story of how he had to hustle back in the day. “You know it was not an easy ride… the thing that kept us going was getting that soccer ball and kicking it around,” reminices 'Doc'. The 2018 PUMA 'Run The Streets' campaign focuses on 'Street Hustlers' on the rise, while the Street Legends look back, exposing how the hustle has adapted to changes on the street, the industry and culture, and inspiring the new generation by passing on knowledge gained deep in the game. Other influencers featured in the campaign include local artists Anatii and Nasty C.